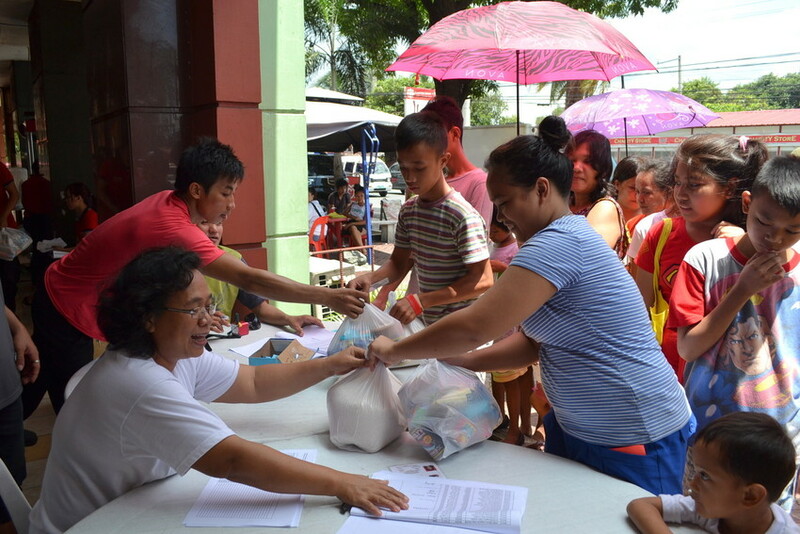 Tropical Storm Maring hit the Philippines on the 18th August, leaving thousands of displaced families in its wake. ChildFund was on the spot to help. For three days, Typhoon Maring battered the country, with winds of up to 135kph and some of the heaviest rains on record. Severe flooding affected the capital, Manila and other regions, including the area covered by our local partners where floodwaters ranged from chest height to overhead levels. 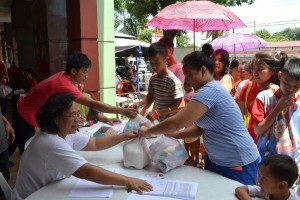 ChildFund was able to respond quickly to this emergency, reaching 6,000 families in the immediate aftermath of the storm. Working with our local partner organisations, we were able to supply food and other vital supplies such as clean water kits, first aid and personal hygiene kits. As the waters receded we helped a large number of families rebuild and repair their homes, providing building materials such as plywood, nails and galvanised iron roof sheets. Many children, who had lost essential school items in the floods, were delighted to receive new notebooks, pens, school bags and shoes. Happily the communities affected are now returning to normal. Our partner organisations report that the families we helped were extremely grateful. Our provision of 3 days’ worth of food and other supplies allowed them to focus on cleaning their homes, and salvaging mud-soaked belongings and made them realise they were not alone at this terrible time.